Displacement in South Sudan: “We Are Going to Run Out of Food Very Soon”Doctors without Borders. Displaced families in South Sudan’s Upper Nile State seek refuge in Noon, across the Nile River. They live under trees and have extremely limited access to latrines and clean water. Since the beginning of April , Simon Akoch, his wife, and their six children have been sleeping under a tree in a tiny village called Noon, 25 minutes away from the Nile river by foot. They spend the night on floor mats, among the few belongings they managed to save while fleeing Melut, the town on the other side of the river. Living outside is nothing new for 41-year-old Simon; he has had to move over and over again. Since March 2014, this Shilluk family has been on the move, fleeing fighting and ethnic tensions in Upper Nile State, South Sudan. When the conflict erupted in December 2013, Simon was living in Panyikang County, in the southern part of Upper Nile State. He was the headmaster of Dolieb Hill Combine Primary School, where 1,200 children studied. In this part of Upper Nile, the river is a natural border between traditional Shilluk land and Dinka land. There are now barely any Shilluk left in Melut. The few who remain live in fear of being attacked. Simon crossed the Nile in a traditional boat after paying three South Sudanese pounds for each of his seven family members and himself. “We took some pots and rugs with us, and that was it, it was all we could carry.” They then walked to Noon and chose a tree big enough to protect them from the sun during the harsh sunny days. About 1,600 other Shilluk families are living under trees, in the same dire conditions. Last week, Doctors Without Borders/Médecins Sans Frontières (MSF) distributed 25 sachets of water purifiers and 30 sachets of therapeutic food per person. These supplies should help the displaced people for about 25 days, before the next distribution takes place. Life has taken a different turn than he expected. For now, Noon is his home but he cannot say about tomorrow, when he and his family might have to move once again. If you think the two quoted news items above are repeated, you are right in thinking so. However, the first one is from April 2008, seven years old, while the second is two days old, from April of 2015. Isaias believes the Saudis were cold to him because the USA ordered them to be so. Many things happened between 2008 and 2015. 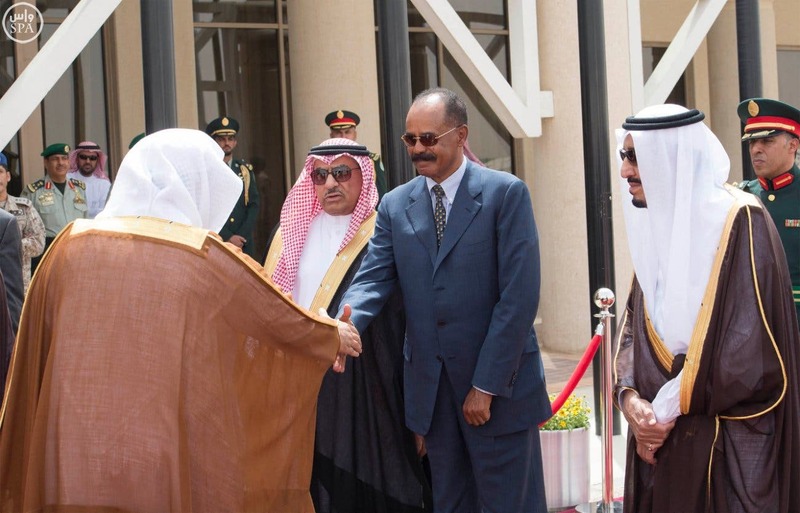 In March 2014, Gedab News reported about the bad relations between Saudi Arabia and Eritrea. Dr. Ahmed Dehli who accompanied Isaias to Qatar had complained about Prince Turki Al Faisel, Saudi Arabia’s former (until 2001) Director of Intelligence, regarding the accusations lodged by Saudi Arabia and Yemen against the Isaias Afwerki regime for being a conduit to the Iran-backed Houthi rebels in Yemen. And Isaias has complained to the Qataris that the Arab Gulf States were punishing him for his close relations with Qatar and that Qatar should compensate him for that. Isaias’ visit of to Saudi Arabia started on Tuesday, April 28, and ended on Wednesday, April 29. 2015, but it didn’t get much coverage in the Saudi press because it coincided with major changes within the Saudi government. For the first time, King Salman appointed King Abdulaziz Al Saud’sgrandchildren to top positions and literally ended the reign of the older generation of Saudi princes, the children of the founder of Saudi Arabia, King Abdulaziz Al Saud. Also, for the first time since Saudi Arabia was established in 1926, the king appointed a foreign minister from outside the royal family. Adel bin Ahmed Al-Jubeir, the previous Saudi ambassador to the USA replaced prince Saud AlFaisel, the outgoing foreign minister who held the portfolio for forty years. the Saudis were busy absorbing the drastic and sudden changes that King Salman introduced, in addition to the “AlHazm Storm” campaign against the Houthis of Yemen. Isaias’ visit was not that important. Isaias has been trying to find a way to get financial aid from Saudi Arabia for a long time to no avail, he found the current crisis in Yemen an opportunity to ask or blackmail the Saudis. 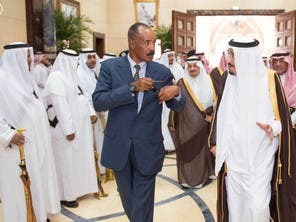 In March when the Saudis were busy assembling the coalition for the air campaign against the Houthis in Yemen, Eritrea asked for a meeting with the Saudi government through its ambassador to the Kingdom of Saudi Arabia, Mohammed Omar Mahmoud who delivered a letter to that effect to the then Crown Prince, Muqrin bin Abdulaziz Al Saud. A few days later the Saudi air campaign against the Houthis started as reported by Gedab on March 28, 2015. Days into the campaign, Yemeni officials accused the Eritrean government of having ties with the Houthi rebels; in an unprecedented move, the Eritrean government issued a press release denying the Yemeni allegation. Eritrea is not known for replying to accusations that quick, or in that detail. Its motto in replying to such events is, “we prefer to be quite” –in a local language: sq kn’bll meritsna! What did Isaias get from the Saudis? 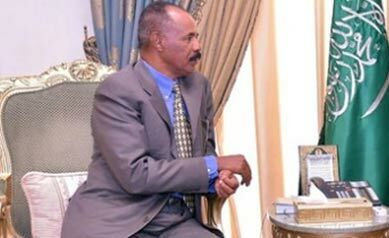 According to our sources in Saudi Arabia, Isaias held the longest meeting with Adel Mohammed Faqih, the Minister of Labor. 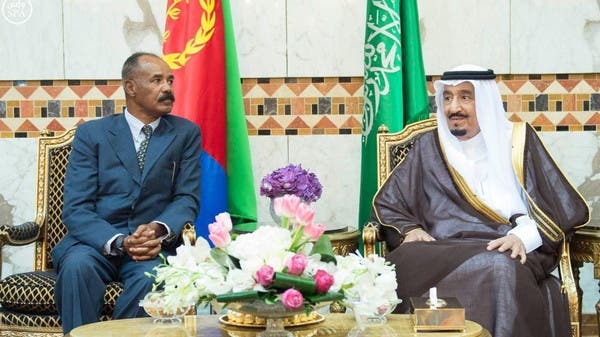 Isaias has mentioned the lack of employment opportunities in Eritrea and the Saudi officials have offered job opportunities in Saudi Arabia to Eritrean workers, mainly drivers. 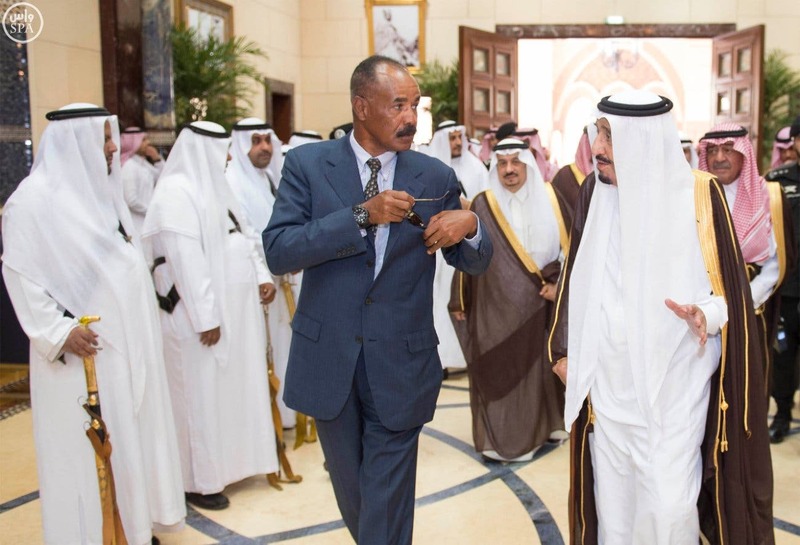 The Saudis are concerned about the African shores of the Red Sea and do not want to worry about what the unhinged regime of Isaias Afwerki might bring them–they have decided to keep him on a short leash. We’re moments away from being thrown out of the hospital.There was a facility found by the hospital to transfer Aden but the hospital isn’t being transparent about the facility, insurance coverage, & the mandatory procedures required to transfer patients, such as tracheotomy & feeding tube. Recently, her surgeon and the pulmonologist & hospitalist highly emphasized the importance those two procedures on the patients health. However, suddenly we are pressured to get out without it simply because a facility accepted her without these two requirements. It’s not about what’s found or accepted, it’s also about what was addressed before & about the information in which the family have been given. 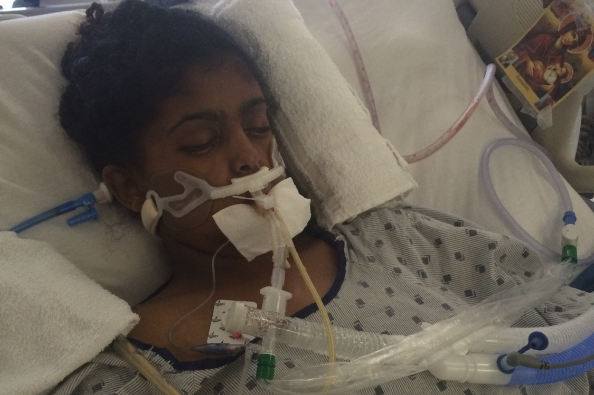 Three days ago, we were being persuaded about the significance of tracheotomy & feeding tube. But all of a sudden, that change without apparent reason. There’s absolutely nothing about Aden’s condition that has changed since we were provided this piece of information so why all of a sudden it changes now?! The hospital claim we’re doing it for the family sake, which is to expedite her transfer but if we can’t be patient for a day or two to avoid further complication then we shouldn’t even be nominated to be her voice at all. After everything Aden & the family went through in the past 28 days in this place, the fact the hospital decided to put us through more trouble is unspeakable. We have every right to learn, inquire & obtain information about what kind of facility is she going to, who is covering the cost, and what kind of care is awaiting for her not solely via verbal promises but also in a document. We must obtain some sort of guarantee on what is expecting her in the new facility prior to our departure. Instead, we’re being told you will obtain all the information when you get there. Really?? What kind of family takes their very ill child without acquiring sufficient information on a 7-8hrs ambulance ride simply because we’ve expressed our desire to transfer her. Wanting to care for your child near family is one thing, and choosing what’s right for her is another thing whether it’s for an hour, a day or few months. In the end, Aden still is dear and precious to us regardless of her current state . I don’t wish even my worst enemy to go through this. 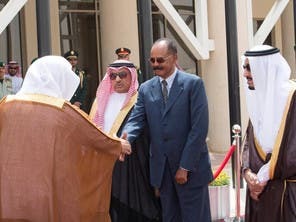 Saudi Arabia and Eritrea have reached a security and military agreement on fighting terrorism, illegal trade and piracy in the Red Sea, Eritrean diplomatic sources said yesterday.According to the sources, the agreement, reached during a visit by Eritrean President Isaias Afwerki to Saudi Arabia, also calls for preventing any foreign interference in Yemeni affairs. ADDIS ABABA, Ethiopia (AP) — Ethiopia is drafting a new law to stiffen punishments for human trafficking in an attempt to stem a wave of dangerous migrations to Europe, the Ministry of Justice said. Ethiopian officials said they are working through their embassies in Khartoum, Sudan, and in Cairo to bring migrants back home. The Ethiopian ambassador in Egypt, Mohammed Dirir, said more than 190 Ethiopian migrants in the Libyan cities of Tripoli and Benghazi have so far registered to return home. “We are also working with local authorities to secure the release of 40 Ethiopian migrants that are currently in a prison called Koyfiya around Benghazi (Libya),” Dirir told state-affiliated Fana Broadcasting Corporate. Ethiopia’s Foreign Minister, Tedros Adhanom, told Parliament last week that most smugglers of Ethiopian migrants are Ethiopians. He said the smugglers have established networks in different migration routes. The Ministry said human smuggling is increasing alarmingly despite measure taken previously by the government against people involved in trafficking people. Ethiopia’s current laws stipulate prison terms ranging from five to 20 years for crimes related to human smuggling and a maximum fine of $2,500. “These law provisions don’t go in line with the level of crime that is being committed by the smugglers so we are drafting a new law that will have severe terms,” Getachew said. Saudi Arabia and Eritrea have reached a security and military agreement on fighting terrorism, illegal trade and piracy in the Red Sea, Eritrean diplomatic sources said Wednesday. Afwerki concluded a two-day visit to the oil-rich kingdom on Wednesday. Saudi Arabia has been leading a coalition of several Arab states in striking – from air so far – positions of the Houthi group across Yemen for more than a month now. Riyadh says the campaign comes at the request of embattled Yemeni President Abd Rabbuh Mansour Hadi. Saudi King Salman bin Abdulaziz al-Saud on Tuesday received the Eritrean President Isaias Afwerki in Riyadh, the state-run Saudi Press Agency (SPA) reported. The leaders reviewed bilateral relations between the two countries and the latest developments in the region. They also spoke about other international matters, SPA reported. During his visit to Riyadh, Afwerki also met with Saudi Defense Minister and deputy crown prince Prince Mohammad bin Salman. Egypt is getting ready to launch a large air and ground attack against the Islamic State (ISIS/ISIL) in eastern Libya DebkaFile reports, quoting military and intelligence sources. The Obama administration is reportedly opposed to the operation. 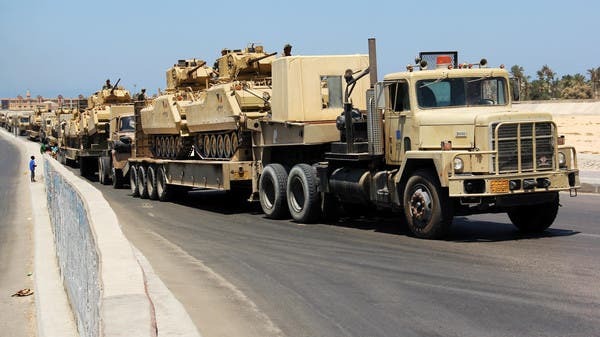 “Egypt is massing large-scale ground and air forces in the Western Desert along the Libyan border, in preparation for a military campaign to capture eastern Libya — Cyrenaica — from the Islamist State of Syria and Iraq — ISIS — occupation,” reports DebkaFile. Some officials have warned that ISIS may use Libya to launch attacks against Europe. The DebkaFile report notes that the Obama administration is against a direct invasion of Libya by Egypt, but would support Cairo taking action through local Libyan militias. Egyptian President Abdel-Fatteh El-Sisi was not convinced by CIA Director John Brennan who related Obama’s position on April 19. “President El-Sisi was not surprised to hear from the CIA director that the Obama administration objects to a direct Egyptian invasion of Libya, but would not oppose Cairo acting through local Libyan militias,” said DebkaFile. “Brennan leaned hard on the Egyptian president to follow Washington’s line, but El-Sisi refused,” it added later. President El-Sisi did tell the CIA director that he does not plan to keep the Egyptian army in Libya. He is planning to pull his troops out after the jihadists are defeated. Ultimately, El-Sisi said he would hand power back to the elected Libyan government. ISIS’ presence in eastern Libya and Sinai poses an unacceptable threat to El-Sisi’s country, noted the report. “He has been warned in a number of intelligence reports that the Islamic State’s terrorists have already penetrated some Egyptian towns and even infiltrated certain army units,” it said. ISIS is reportedly beefing up its presence in eastern Libya with reinforcements from Syria and Iraq to counter Egypt’s planned assault. “From Syria, they are traveling by air or sea through the Mediterranean; from Iraq, through the Sinai Peninsula, whence oil and drug rings smuggle them across the Suez Canal and Egypt,” said DebkaFile. Libya has been engulfed in unrest since Muammar Gaddafi was overthrown and executed in 2011 with the support of the Obama administration. Various tribes, militias, and political groups are competing for power in Libya. The country has been split by two warring factions. One is led by the elected government operating out of Tobruk and the other by militias in Tripoli. The Obama administration and other Western nations have been reluctant to intervene. Egypt, without the support of the U.S., launched airstrikes against ISIS targets in Libya after the jihadist group beheaded 21 Egyptian Christians. Security agencies arrested 93 people linked to the Islamic State (IS) group over the past few months who had planned to attack public and private buildings, and kill police and other officials, said the Interior Ministry spokesman Maj. Gen. Mansour Al-Turki in a statement on Tuesday. A militant cell planned a suicide car bombing targeting the US Embassy in Riyadh, but the plot was disrupted in March, he revealed. Also, security forces arrested Tuesday a citizen sought in connection with the killing of two police officers in Riyadh earlier this month, according to another ministry statement. The ministry said that Nawaf Al-Anazi, who has the nickname Burgess, was arrested in Romah governorate after the security forces received a tip-off on their 990 number about his whereabouts. “Al-Anazi opened fire on security officers during the raid at the location. In the return fire, he was injured and overpowered. None of the security officers were injured in the operation,” said Al-Turki’s statement. The ministry announced last Friday that it had arrested Mohammed Abdulrahman Abu Nayan, 23, who had confessed to taking part in the killing of the two policemen, and injuring two others in separate incidents over the past two months. Abu Nayan was detained a week ago attempting to cross into Yemen. The ministry had then offered a SR1 million reward for information that would lead to the capture of Al-Anazi, Abu Nayan’s alleged accomplice. Abu Nayan had also admitted that he had received instructions from the IS group to stay inside Saudi Arabia, prepare attacks and make homemade bombs, according to the ministry last week.Abu Nayan had other accomplices and devised his plan after meeting an IS representative in Riyadh. He recorded footage of the shooting on a mobile phone and was preparing car bombs for use in future attacks. He received cash and instructions from IS, said the ministry. Security agencies had found huge amounts of bombs and firearms including Belgian rifles during their investigation. The killing of the two officers took place on April 8 in an eastern district of Riyadh, while they were on patrol in their vehicle. Security agencies arrested members of an IS-affiliated terror cell named ‘Soldiers of the Land of the Two Holy Mosques’ on Dec. 31 last year. The cell consisted of 15 Saudi members, commanded by a man who specialized in making explosives, said Al-Turki. One member had the responsibility of coordinating the cell’s activities, while others had to take care of financial and security matters. There were also members who were responsible for issuing fatwas, or religious edicts, to justify their criminal acts, said Al-Turki.